Elysium Lodging - Paradise in Western North Carolina! Property 4: Elysium Lodging - Paradise in Western North Carolina! Stardust at Lake Lure, Rumbling Bald Resort--Relax and enjoy! Property 8: Stardust at Lake Lure, Rumbling Bald Resort--Relax and enjoy! Fabulous Fun Zone, Bike Trails , Convenient to all, Bright Light Yoga & Pottery! Property 11: Fabulous Fun Zone, Bike Trails , Convenient to all, Bright Light Yoga & Pottery! Property 21: Riverside Mountain Getaway ~ Relax, Rejuvenate, Refresh! Farm House on 12 acres in Foothills of Blue Ridge Mountains. Near Lake Lure! Property 23: Farm House on 12 acres in Foothills of Blue Ridge Mountains. Near Lake Lure! 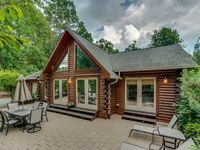 Property 27: Lake Lure Hide-A-Way lovely, Chimney Rock, hot tub, gas grill, close to Lake Lure and Chimney Rock Village, Tryon Equesterian Center, 45 min. to Asheville, perfect mountain getaway with family or friends. Beautiful Mountain Lake View/Spacious/Fun/Gorgeous Views and Sunsets! Property 29: Beautiful Mountain Lake View/Spacious/Fun/Gorgeous Views and Sunsets! Near Asheville, near the stars, nearly perfect! Almost Heaven. 3000 ft.
Property 33: Near Asheville, near the stars, nearly perfect! Almost Heaven. 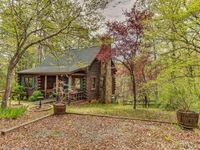 3000 ft.
Rollin’ on the River-Cozy riverfront home in Chimney Rock! Just Remodeled! Property 34: Rollin’ on the River-Cozy riverfront home in Chimney Rock! Just Remodeled! "ALLURE OF THE LAKE" IS AN AWESOME 3BR/2BATH LAKEFRONT HOME ON BEAUTIFUL LAKE LURE! Property 45: "ALLURE OF THE LAKE" IS AN AWESOME 3BR/2BATH LAKEFRONT HOME ON BEAUTIFUL LAKE LURE! Beautiful Lake front home on Large quiet cove with Awesome Sundeck !!! Property 47: Beautiful Lake front home on Large quiet cove with Awesome Sundeck !!! Beautiful four bedroom, three bath cape cod in the Rumbling Bald resort. Property 50: Beautiful four bedroom, three bath cape cod in the Rumbling Bald resort. Great cabin has everything you need. I took my kids and We really enjoyed our stay. I will for sure rent from Jerry again. We had a fantastic time at the Lake Lure cabin. The space was very high quality and made for a relaxing weekend. Everything was as advertised, and the location is an easy drive to Asheville. Highly recommend.